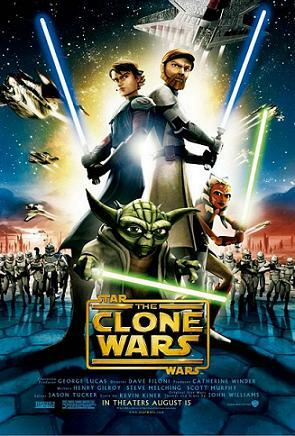 What had started as a cel-animated mini-series (Star Wars: Clone Wars), an all-new CGI-animated series has been created, set between Episode 2: Attack of the Clones and Episode 3: Revenge of the Sith! The Galactic Republic is in chaos, a result of an alliance of systems seeking to leave the Republic. Jedi Knights Obi-Wan Kenobi and Anakin Skywalker are in the thick of it, trying to maintain the Republic – and it only gets more complicated when Anakin is assigned by the Jedi Council - at Obi-Wan's insistence - a Padawan learner, a teen-aged Togrutan girl named Ahsoka Tano, who proves to be about as brash and impulsive as her master!